Question of the day: Are you a broccoli lover or hater? Broccoli is one of my favorite vegetables. I am happy to eat it steamed with just a bit of salt but the rest of my family needs a little more coaxing. So I make them broccoli cheese brown rice, my cheesy chicken and broccoli twice-baked potatoes, chicken and broccoli chowder and roasted chicken and veggies sheet pan dinner. 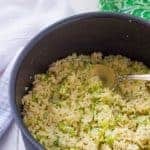 And broccoli slaw is one of my favorite shortcuts for a stir fry or quinoa salad. 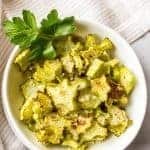 My kids (ages 5 and almost 3) will waffle between gladly chomping down on a few stalks of broccoli some nights to not wanting to take more than a small “thank you bite” on other nights — that’s our house rule of at least trying a bite of your food. 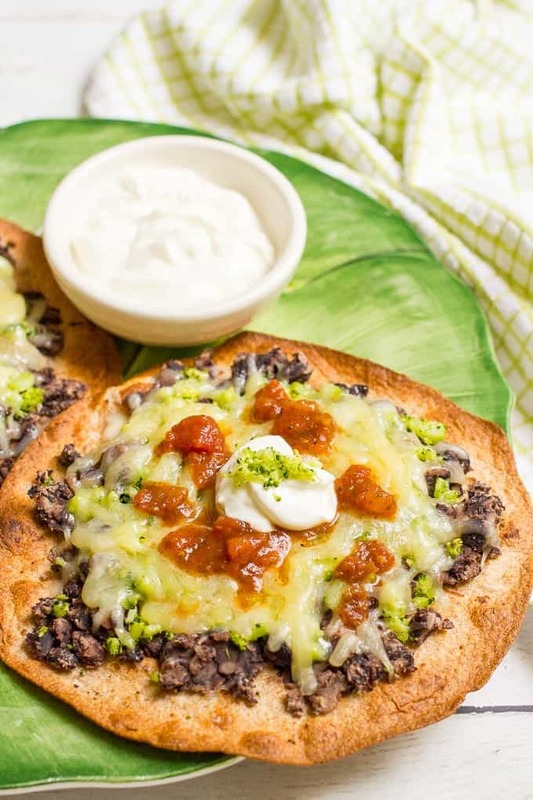 These cheesy broccoli and black bean vegetarian tostadas, however, are a different story. They chow down. Both of them. That’s a total win! 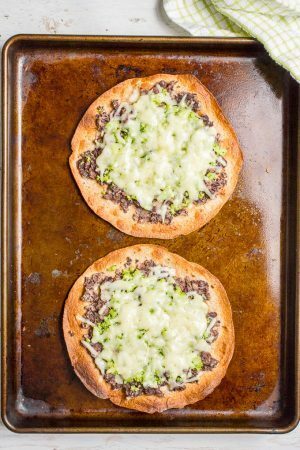 These tostadas are customizable too – add some seasonings, switch up your cheese and top with your favorite toppings. You know I love some toppings! As you can see, I spread the black beans on the bottom, then top with broccoli and then cover with cheese. This means they can’t pick out the broccoli. Mama ain’t no fool! I get 4-5 tostadas depending on what size my tortillas are. Smaller tortillas (that I often use for the kids) will yield more than the larger ones. You can also mix and match. 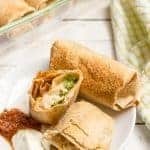 For older kids and adults, you can sprinkle the tortillas with chili powder, salt and pepper after brushing with oil and before baking – this will give it some extra flavor. Or you can add some seasoning to the smashed black beans. You can also use Monterey Jack or Jalapeño Jack cheese for a bit of kick. You can substitute refried beans for the black beans. However, refried beans have more moisture, so they can make the middle of the tostada a bit soggy if it’s not well baked. Not vegetarian? You could add some chopped, cooked chicken (leftover or from a rotisserie) with the beans and broccoli. Don’t forget the toppings! I like salsa and Greek yogurt (which is what we use instead of sour cream), but you could also add some jalapeño slices, avocado slices, shredded lettuce or fresh tomatoes. Make ‘em your own! 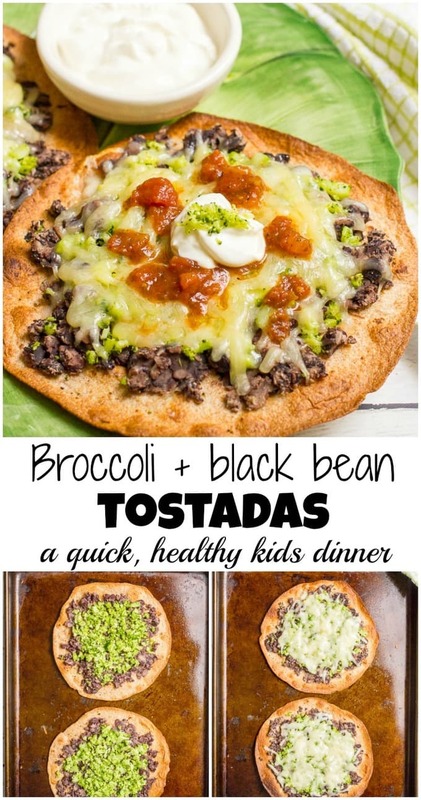 Next time you need a super fast dinner, or just want to get some veggies in your kids, I hope you’ll give these easy tostadas a try. I’ve got lots more ideas for easy, quick kid-friendly meals here – plus a free printable! 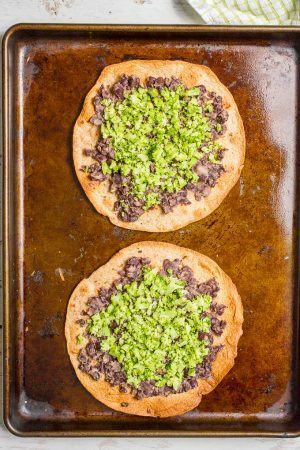 A quick, easy and healthy vegetarian tostada recipe for busy nights! To prepare tostadas, preheat oven to 400. 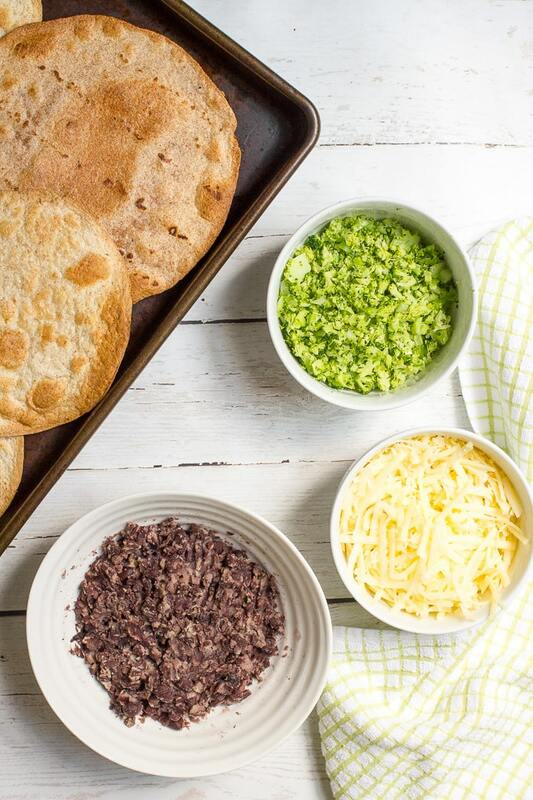 Brush both sides of tortillas with canola oil and place on an ungreased baking sheet. Bake for 3-5 minutes, until crispy and golden brown. Turn over and bake another 3-5 minutes. Remove from oven and switch oven to low broil. Meanwhile, steam the broccoli then finely chop it. Smash the black beans in a bowl using a fork until broken up and chunky. To assemble the tostadas: Scoop a heaping 1/4 cup of smashed black beans onto each tostada and carefully spread in a thin layer almost to the edge of each tostada. 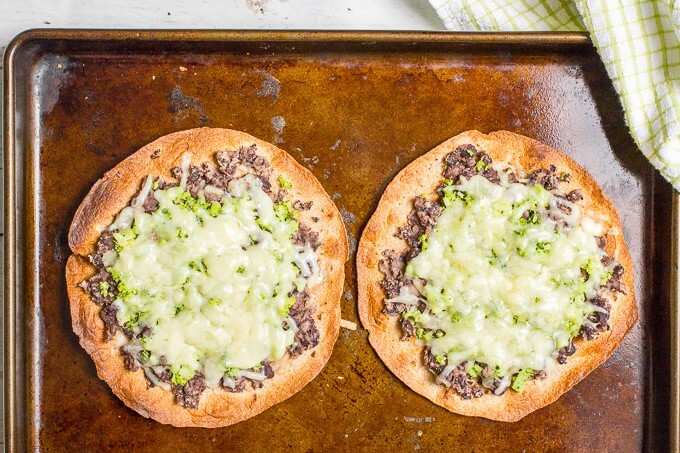 Top each with about 3 tablespoons of the finely chopped broccoli and sprinkle with about 1/4 cup shredded cheese. 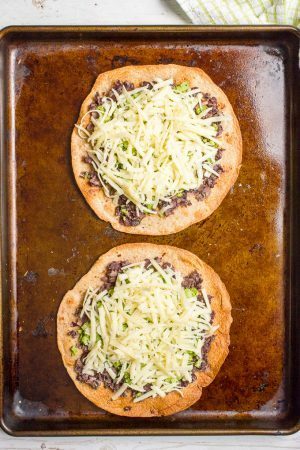 Place tostadas on baking sheet and return to oven on low broil for 2-3 minutes. Watch carefully so they don’t burn. 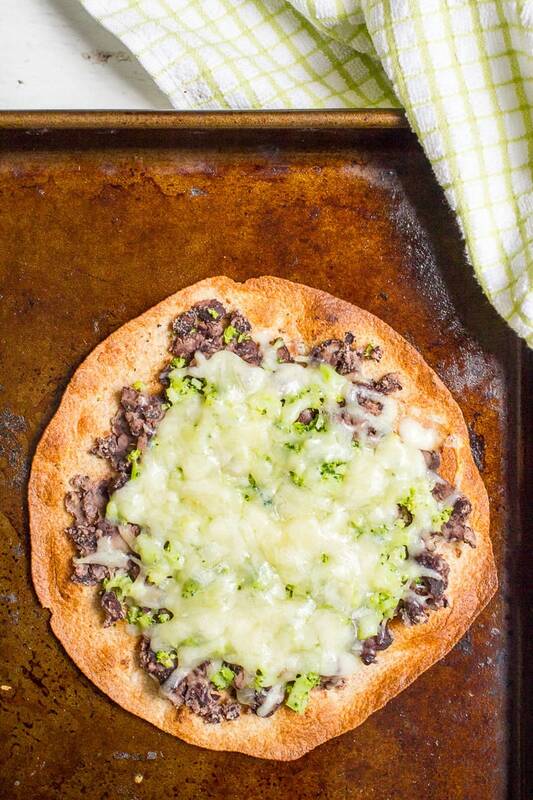 When I use small tortillas (5- or 6-inch diameter), I can get 5 tostadas out of this recipe. If you are using larger ones, you may get 3 or 4. For older kids and adults, you can sprinkle tortillas with chili powder, salt and pepper after brushing with oil and before baking - this will give it some extra flavor. Or you can add some seasoning to the smashed black beans. 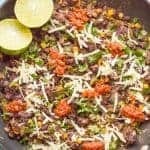 You can substitute refried beans for the black beans. However, refried beans have more moisture so they can make the middle of the tostada a bit soggy if it’s not well baked. My favorite part of broccoli is the STEM! When I but it (weekly!) I look for the crowns with the biggest longest stem…that is just the best part…raw of course! I love the stems too! Have you ever pickled them? Crazy good!! Right up my alley! Yum! Wish I had one of these for lunch! Answer – I am a broccoli LOVER. Truth, I eat it EVERY day. Obsessive? Probably, but I seriously just LOVE it. I’ve even gotten the hubster to love it too, although he has to put a lot of salt on it. ;( Still, I take him eating it at all as a small win. lol. I also happen to Loooooove tostadas, so these bad boys are SCREAMING my name!! For real, I LOVE these, Kathryn! 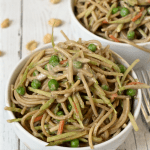 So simple, but oh so delicious! Plus that melty cheese? GAH! Hello, totally making this pronto!! Gimme gimme gimme! Cheers, dear! Aw yeah, I know you’d be with me on this one! Glad you brought your husband around to broccoli – good work girl! 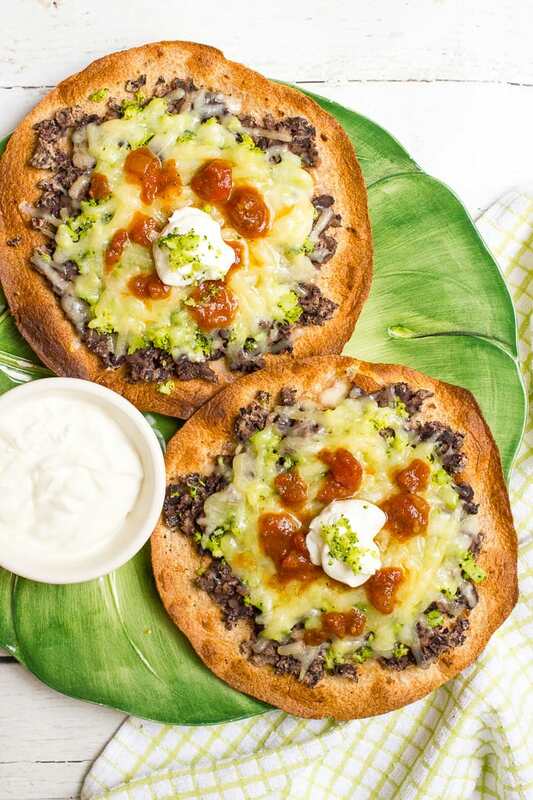 I love the idea of putting greek yogurt on these veggie tostadas! Yum! I found your link at What’s Cookin Wednesday! Thanks Alison! I’m all about adding LOTS of toppings!! Mama ain’t no fool – you’re too funny, Kathryn! Great way to get the kiddos to eat their broccoli hiding it like that! I love broccoli and hubby even more so. You know what? Furry child even loves broccoli! My favourite way to eat it is roasted with olive oil and a bit of salt and pepper. And broccoli soup is pretty awesome too. Such a unique and healthy recipe you have here, Kathryn. I bet this would also be awesome for breakfast with an egg and chili flakes on top. I used to hate broccoli, now I love it. 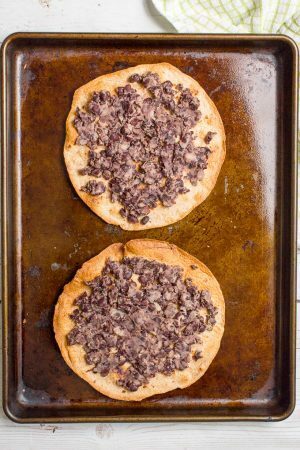 So there is still hope my kids would like it too someday… 🙂 These tostadas looks amazing, I could eat one right now. I always loved broccoli but I used to only eat it smothered in cheese as a kid 😉 Guess I’m trying that angle with my own these days! I love that you made a meal the entire FAMILY can enjoy! Right?! 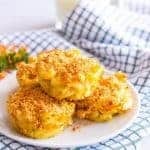 I love broccoli and cheese, especially cheddar, together! Thanks Brie!